Galway Samaritans has reported its busiest year to date answering 56,525 calls - an average of 150 a day - in the last 12 months. Calls to the organisation’s 20 branches in Ireland have risen by 60 per cent since it introduced a freefone number 116 123 in March 2014. William Browne, the director of Galway Samaritans, says the increase in calls indicates that many people are struggling to cope and need a place to turn to for emotional support. “Removing the barrier of cost has made it easier for people to access support as they no longer have to worry about call charges,” he says in the foreword to the charity’s annual report. He outlines the issues troubling callers have remained much the same over the years. These include family and relationship problems, material difficulties such as money or housing, sexual problems, alcohol issues, bereavement, financial worries, depression, mental health problems, loneliness, stress and anxiety - all of these can lead to suicidal thoughts and outcomes. The Samaritans describe depression as one of the most distressing, disabling and sometimes dangerous issues facing people. 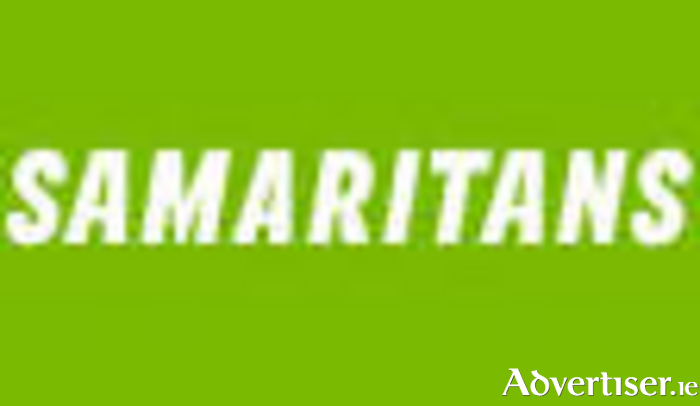 He outlines that the Samaritans has a vision of a society where fewer people die by suicide. “To this end we endeavour to provide confidential, non-judgmental, emotional support to anyone that contacts us, 24 hours a day, 365 days a year. The Samaritans report states that the increase in the number of people, particularly males, taking their lives in Ireland in recent years is a major cause of concern.